Pickle and Bree and quite different. Pickle is an absent-minded bear whose “fur often hid scrumptious treats”. Bree is a self-sufficient young girl who is Pickle’s best friend. 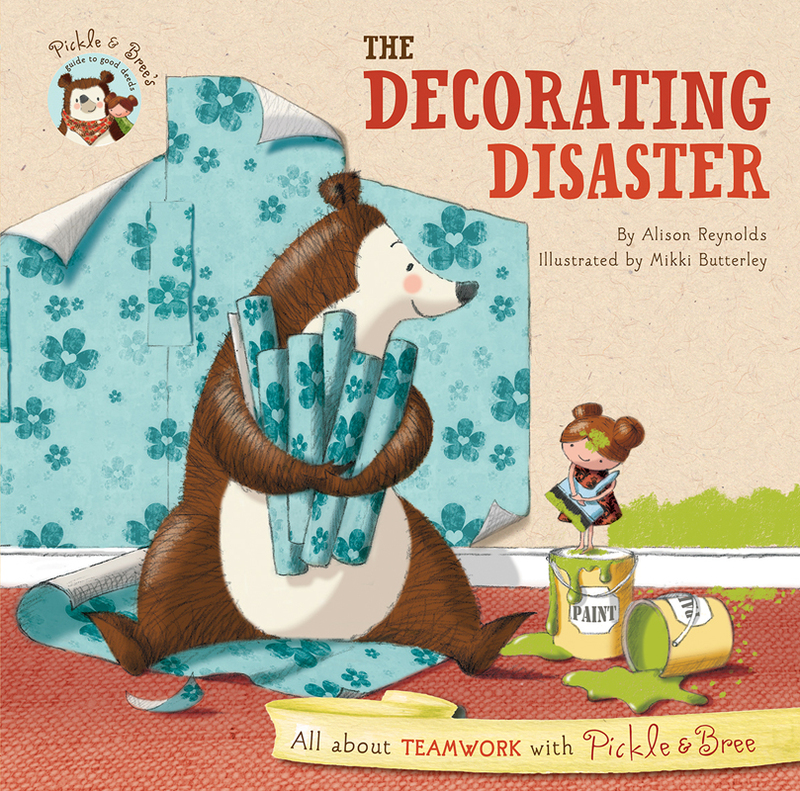 In The Decorating Disaster, Pickle and Bree learn about teamwork as they discover redecorating is not as easy as it seems. It all starts with peeling off the old wallpaper, but then Pickle and Bree can’t agree on what to redecorate with: new wallpaper, or paint. When they each go their own way in different rooms of the house Pickle and Bree find going it alone is not as fun, nor as easy, as working together. There’s soon a large bear tangled up in wallpaper, and a small girl feeling lonely and out of her depth. Eventually Pickle and Bree do work out their differences and find a way to help each other, even if the house gets a little messy along the way! 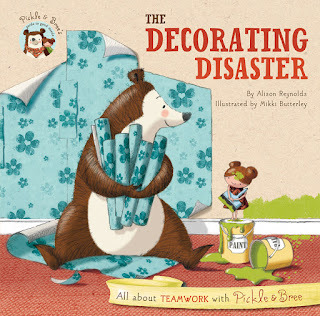 The Decorating Disaster is part of a series called Pickle and Bree’s Guide to Good Deeds. It’s enjoyable and not overly didactic. There is however a one-page guide at the end of the book with tips for teamwork if you want to refer to them (remember to listen to others, brainstorm your ideas together, share skills etc).